Part 5 of Drug Freeland dealt with reforming welfare. The next step we should take before legalising drugs is the elimination of laws restricting private sector access to information-"privacy laws". The state however should remain restricted to gathering only the most superficial information on its citizens, unless engaged in criminal or subversive activities. Number Five. The Elimination of Private Sector "Privacy Laws"
On several occasions the NZ Privacy Commission has condemned any suggestion that drug testing in the workplace be expanded. They have claimed that such testing would be an unwarranted intrusion on worker's privacy. Such statements reveal the socialist nature of the organisation and its brief. In my opinion, the Privacy Commission has much more to do with establishing state control over private sector information flows than with "privacy". Current privacy laws hamper the ability of individuals to check out individuals they may wish to deal with. They inhibit the the ability of responsible employers to weed out dangerous and incompetent people from their work force, including, of course, drug abusers. In so doing they put lives at risk. In New Freeland, most of the "regulation" of irrational activity will be carried out by the insurance industry. Companies in order to be efficient and eliminate fraud must be able to compile and trade data on individuals. Companies will no doubt specialise on building files on known drug abusers, criminals, contract breakers, serial sexual harassers and the like. They will then sell this data to company personnel departments, employers groups, school boards etc. This is commonly done now with finance and credit histories. The internet has made it possible to rate teachers and employers. By eliminating private sector privacy laws, this concept will probably expand to cover far more areas than it does now. In a country where drugs are legal, the ability to track and identify drug abusers will be essential to maintain safety and production standards. Bear in mind, that in New Freeland, the legal profession will be completely deregulated and libel actions will be much more affordable and speedy than they are now. This will give the individual quick redress if untruthful information is circulated about him or her. This will be a powerful incentive to "get it right". "Privacy" laws also interfere with the ability to make and enforce contracts, which is another reason why they should be knocked on the head. In New Freeland contracts will sacrosanct and bureaucrats will have no role but to enforce them if they are broken. Individuals or groups will make agreements to perform a service or services for another or others in exchange for specified benefits. Each party will aim to get the best deal possible and will be free to set whatever terms are deemed necessary to achieve the desired result. The content of such agreements (unless fraudulent) will be of no interest to the state. The state may however be called in to arbitrate or enforce compensation if an agreement is broken. Therefore any employer will have the right to put any conditions he or she likes in an employment contract. Drugs will of course be legal, but an employer will have every right to demand that an employee does not use them, even outside work hours. 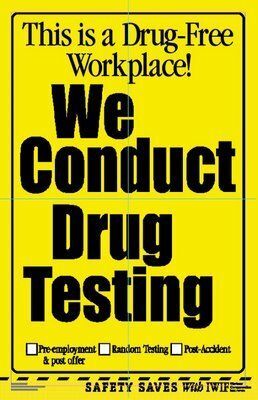 An anti-drug employer will insert a drugs ban clause in his employment contract. This may be enforced by drug tests, sworn affidavits or both, depending on the wishes of the employer. Also the employers insurance company will probably want to carry out testing as a condition of granting insurance cover. Can you imagine an airline or construction company, not requiring it's employees to be drug free? Would you travel with a bus company whose drivers were not subject to such a policy? The consequences for breaking such a contract would be far more than the tiny fine many drug offences now warrant. 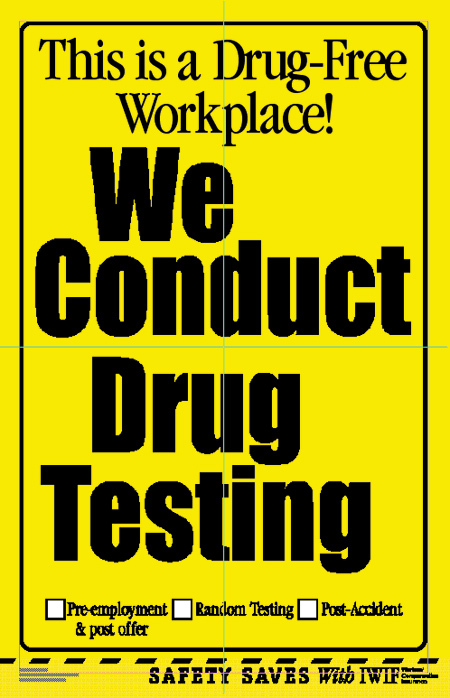 Many companies will advertise as "drug free" workplaces. There will be competition amongst companies to enforce the toughest anti drug policies. Drug abusers who want to rise above the lowest rung of the employment ladder will face a choice. Lie to their employer and hope they're off work sick every time a test is carried out, or give up drugs. By the same token, a hippy shoemaker on the Coromandel might require regular dope smoking as a condition of employment. Either way, the prospective employee will have the option of accepting, rejecting or renegotiating the conditions on offer. However I'm sure that on average, drug abuse will a lot less common than it is today. What about drug use, Trevor? Do you think that will be more or less common than it is today? Richard put the words into my mouth. How do you distinguish between drug use, and drug abuse? (personally). I know that in the situation as per the libertarian community it would be whatever is agreed between the two contracting parties. In other words, rich people can do all the drugs they want, while people who need a job to eat, pay the rent and the like, have to live their lives at the whim of their employer. 'Freedom' has never sounded less appealing. Richard Most definitely less common. That is why the series is entitled Drug Free Land. I think free markets conditions consistly applied will dramatically lower drug abuse and the resultant harm. Michael. I define any ingestion of toxic chemicals for no medicinal use as abuse, but that is not what you're getting at. My point is that it is very hard to confine the effects of drug ingestion to yourself. If you can, by all means, take what you like. If you cannot, people have a right to isolate you, so that you do them no harm. In a libertarian society, people will be able to isolate you in all sorts of ways, if your drug abuse in anyway negatively impacts their lives. Sam Firstly, if you don't like the conditions your employer sets-don't work for him. You have no right to force your views on any employer, or anyone else of course. If you want to take drugs-set up a commune or business and deal with people who like drugs too. Or work for a boss who doesn't mind you being "not all there" from time to time. A question Sam? Do you think it is OK for an airport to demand that its air traffic controllers remain drug free at all times? I think it's fine to expect that a person be in a fit state to do the job they have agreed to do. It's the "an employer will have every right to demand that an employee does not use them, even outside work hours" bit that goes way beyond that. I don't see any reason why an air traffic controller shouldn't have a beer after work, regardless of their employer's opinions. Sam-good to see you acknowledge the point that "it's fine to expect that a person be in a fit state to do the job they have agreed to do". As the employer is offering the job, it is therefore fair that they set the terms. If I operated a nuclear power plant, I'd want the soberst employees I could find. Therefore I would pay very high wages and look for the most chemical free employees I could find. If I ran a seedy nightclub, I'd hire on looks and personality and bugger the drug tests. You've done well to acknowledge the first point Sam. Just acknowledge that an employer should be able to set any terms desired (and the prospective employee has the right to accept or reject them) and you're well on your way to being a libertarian. And except that workers have the right to band together to get the best possible conditions that they can and you will be well on your way to becoming a rational human being. I could also accept that an individual who needs a job in order to eat and pay the rent, and an employer who needs a worker in order to slightly increase their profits, are able to negotiate as equals, but that would put me well on the way to becoming a total whammo deluxe nut bar (with extra cheese). Where does the equal come in Sam? No human being is equal to any other human being, just as no atom is equal to any other in the universe. All human beings should be equal before the law, because we are all human beings. But why should we have equal bargaining power when not a single on of us has equal talents or abilities? "All human beings should be equal before the law" - Voltaire's sarcastic quip comes to mind. "why should we have equal bargaining power"
OK, so in the graet libertarian New Zealand, the rich get to do all the drugs (and whatever else) they want, and dictate to their employees how they shall live their lives? Ordinary people just have to lump that because they aren't in a position to turn down a job and don't have the clout to negotiate contracts in their favour. A bit like feudalism without the hereditary positions. Sounds marvellous. Misrepresenting my views aside-how do you think human beings can freely interreact in a clearly unequal universe Sam? How do you even out the obvious inequalities in bargaining power between individuals, without resorting to force? No need to get snarky - I'm neither representing nor misrepresenting your views, Trev, I'm saying what I believe will be the outcome of the systems you are proposing. Of course, there will always be inequalities between individuals. However, it is not necessary to create a situation in which one individual is dependent on another for basic human needs. This is what happens when you allow individuals or undemocratic corporations to amass unlimited property. They will then use their control of resources to dictate how other people live their lives - as you appear to acknowledge. Therefore, the maximisation of human freedom requires democratic control of resources at a community level to ensure that people are not put into a position of having to obey or starve. Communities need to be able to arrange their own affairs without outside interfrence and people need to be able to move between communities to pursue a lifestyle that best suits them. Thisn may not be philosophically perfect, but in the real world, we need to look for practical, undogmatic solutions. The pursuit of idealism often produces as many monsters as the sleep of reason. Thanks Joe-just one small point. I have wealth and don't want to give it up to the democratic majority-how do you get me to share it without using force? Seems to me that Sam is more interested in taking a stab at capitalism than discussing drug policy. Sam seems to have fallen strangely silent Michael. Doesn't seem to want to answer my last question. Perhaps he's still searching Answers for Anarchists.com. Nope, I was just busy and thought this debate had run out of steam. I'm intrigued by your suggestion that stubborn bastards are entitled to keep their property - presumably this also applies to stubborn bastards such as the Chinese communist leaders or the British monarchy who have managed to grab other people's wealth. Will they be allowed to continue to own what they've stolen in this grat libertarian society? Given your many tirades against Maori attempting to retrieve stolen land, I guess this is the case, but where does this leave the rest of us? As for your own property, please enjoy it. None of us live forever and your ownership won't outlast history.